Vrunda Bansode leads Marketing at Sattva. She has co-founded two education sector ventures, which focus on experiential STEM education for children. 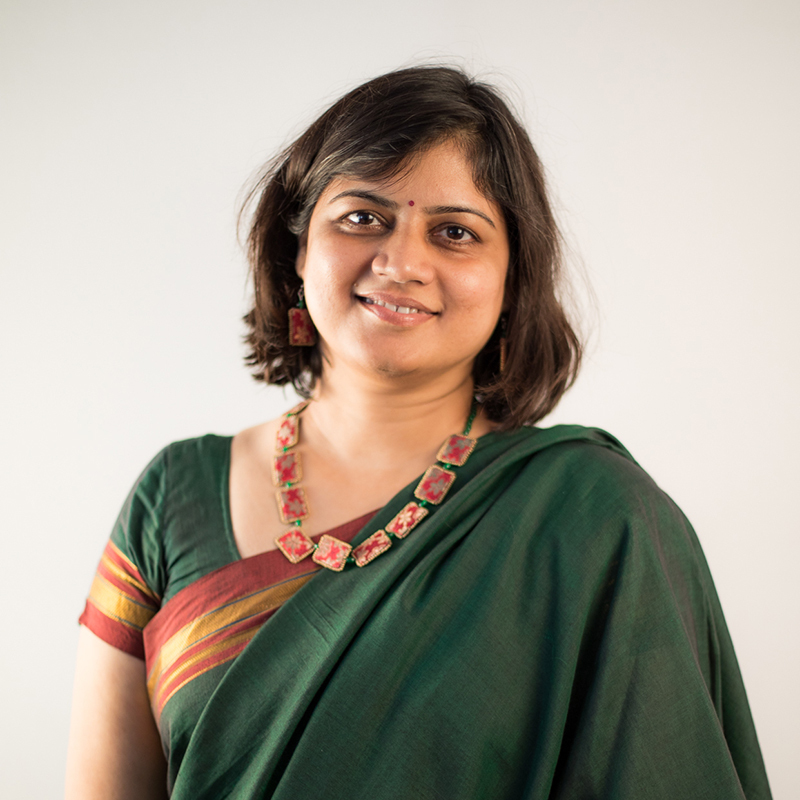 She has been part of the management team at NSRCEL – the startup incubator at IIM Bangalore, where she was also involved in conceptualising and setting up an incubator for early-stage non-profits in association with MSDF. She continues to actively contribute to entrepreneurship development, early-stage venture incubation eco-system and women entrepreneurship development initiatives through workshops, sessions and writing. She has co-authored a book for children called “Become a Junior Inventor” published by Penguin Random House. Her prior work experience includes working with large corporations such as Bosch, Honeywell, Apple and Intuit in different capacities. She holds a Master’s degree from University of Pune and a PGDBM from Indo-German Training Centre, Mumbai.